Alexander is completing a doctorate in international tax law at McGill University. He holds a Master of Laws degree (LL.M) from the University of Cambridge, and is a member of the Nigeria Bar Association. Alexander Ezenagu is currently completing a doctorate in international tax law at McGill University. He holds a Master of Laws degree (LL.M) from the University of Cambridge, and is a member of the Nigeria Bar Association. He is also an Associate Research Fellow (Trade, Investments and Public Private Partnerships), at the Institute for Oil, Gas, Energy, Environment and Sustainable Development (OGEES Institute), Afe Babalola University, Ado-Ekiti, Ekiti, Nigeria. Alexander’s doctoral research is focused on the intersection of taxation, development, and cooperation among nations. 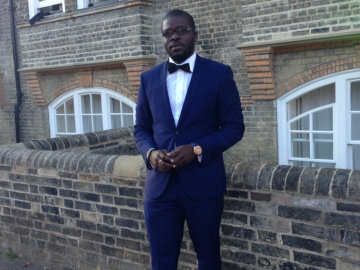 He had previously worked at Ernst & Young Nigeria, law offices of Banwo and Ighodalo, and Templars Barristers and Solicitors, Lagos, Nigeria, advising private and public sector clients on issues involving tax planning and tax compliance, oil and gas tax, banking and finance, project finance, structured finance, capital markets, mergers and acquisitions, and contract negotiation. He is a recipient of several awards including the: Rathlyn Fellowship; Graduate Dean’s Award in Law, McGill University ; Cambridge Commonwealth Shared Scholarship 2013/2014; Cambridge Trust Scholarship 2013/2014; Col. Yohana Madaki Prize for Best Student in Environmental Law, Faculty of Law, University of Ibadan, 2010; Gamaliel O. Onosode (OFR) Scholarship Scheme for Excellence, University of Ibadan, Nigeria.